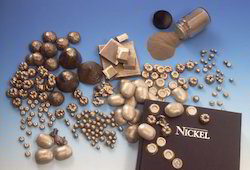 We are involved in the production of premium quality Nickel that finds application in diverse industries. We are the leading exporter in this category. Nickel Cathod of the 99% Min and the Size in Plate and 4x4" as per requirements. Nickel is a strong and ductile Metal having its specific gravity 8.9 It melts at 1455 degrees centigrade and boils at 3075 degrees centigrade. Pure Nickel has found a broad field of application. We are Manufacturer of Nickel Briquette. Our Manufacturing plant is in S. Korea. 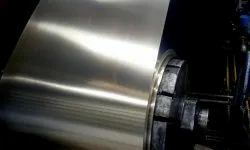 We are supplying our Nickel to Indian Stainless steel Mills & Special Steel Mills.